This year 23 candidates are standing for elections and their chosen priorities include giving young people a voice, feminism, housing, disability awareness and community safety. Over the past two years, the current Youth Parliament members have consulted extensively with young people, and put forward their views and concerns to the Mayor, Deputy Mayor and Councillors. Their successful term saw the creation of a short film on sexual health, a mental health campaign and a visit to Strasbourg, France, for the European Youth Event where they discussed issues such as Brexit and racism. The new candidates are eager to continue the good work and influence positive change for young people in the borough. In the lead up to the elections there were two hustings events at Forest Road Youth Hub and The Edge Youth Hub. Candidates were able to express their priorities and present their manifestos in more depth to a live audience. 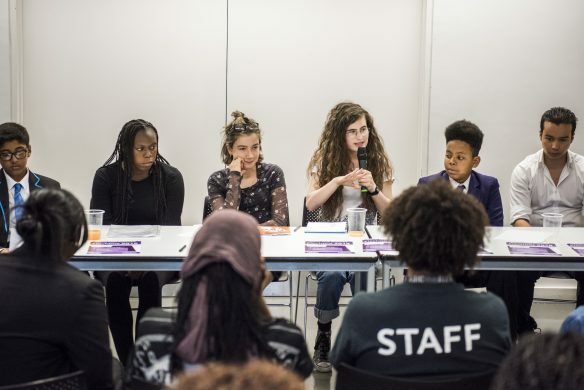 Voting for the new Hackney Youth Parliament has now ended and the successful candidates will be announced on Friday 19 October at Hackney Town Hall Chambers.